Soon after the publication of the result, the official authority will organize the counselling procedure for the qualified students. This is conducted with the purpose to offer the final enrollment to the students in their desired courses. The TSICET Counselling 2019 will be held as per the official schedule of the authority. It is the sole duty of the candidates to keep them updated with the official dates. • TSICET or Telangana state integrated common entrance test is one of the reputed and renowned entrance examinations. • This exam is usually scheduled in the month of May every year by the Kakatiya University, Warangal on the behalf of TSCHE. • This exam is organized with the purpose to offer admission in the universities and colleges of the Telangana state. • The counselling procedure will be scheduled probably in the month of August by the official authority for the qualified students. • The shortlisted candidates will be get updated with the official dates regarding the counselling procedure. • It is important for the students to know that the TSICET Counselling 2019 will be held at the different venues. The students will have to first check their venue and then report to the center. • The physical presence of the student is obligatory at the time of counselling. • There are various stages associated with the counselling procedure. The detailed description of these rounds is mentioned here. • In order to appear in the counselling procedure, the students will have to register them first. • This facility will be available only for the specific duration of time. The students need to pay the registration fee while registering them. • The details to be entered at the time of registration should be correct and genuine. • After the successful registration, the students can then proceed towards the next round of the TSICET Counselling 2019 i.e. choice filling and locking round. • In this stage, the students will get an opportunity to select their preferred colleges and courses. • The candidates need to keep the most preferred choice on the top of the list and then place the other choices as per their priority. • It should be noted that mere the selection of choices will not confirm the admission in the same. It is just for reference. • The choice filling is the one – time facility. It should be made properly as the student’s admission will be based on them. • Once the candidate is satisfied with his choices then he can lock the same. • Once after locking the choices, the students cannot made any alterations in the same. • Next step of the TSICET 2019 Counselling is the reporting at the nodal center. • The students will have to report the counselling venue along with the important documents for the document verification round. • This is the last and the final round of the counselling procedure. • The official authority will allot the seats to the students on the basis of their preferred choices, their rank in the merit list and availability of seats at the rank. • Once the seat allotment is done, the students are required to report at the allocated college and pay the requisite fee for admission. • If the students fail to submit the fee for the allotted seat within the specific period of time then his seat will be canceled out. 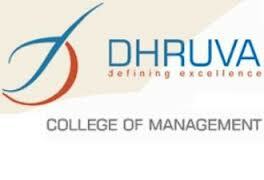 Dhruva College of Management espousing the cause of management education, training, consultancy and research offers two-year full-time Post Graduate Diploma in Management approved by AICTE. Magnus School of Business, which is located in Hyderabad (Andhra Pradesh) is ranked 39th among the best B-Schools in India. Ever since its inception, Vignana Jyoti Institute of Management Hyderabad has been on the path of success with its quality management education, training and research. Badruka Institute of Foreign Trade (BIFT) was established in 2001 with the vision of bestowing qualified professional in the feild of internalitional business.